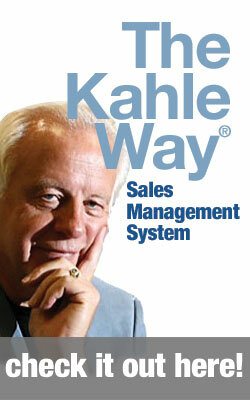 Reprinted, with permission of the publisher, from QUESTION YOUR WAY TO SALES SUCCESS © 2008 by Dave Kahle. Published by Career Press, Franklin Lakes, NJ. 800-227-3371. All rights reserved. For a sales professional, there are two basic sets of questions with which a dedicated sales person should gain competence: Questions to ask prospects and customers; and questions to ask yourself. 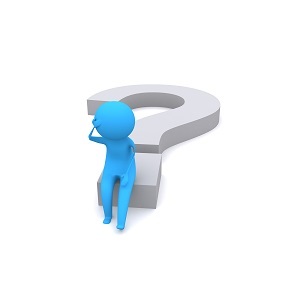 Questions we ask ourselves are just as important, if not more so, than those we ask our prospects and customer. The reason goes back to the ultimate power of a question — it directs our thinking. Just as a good question directs the customer’s thinking, so, too, does a good question direct our own thinking. And thinking well is the ultimate success skill for a professional sales person. I couldn’t agree more. Ultimately, the way you bring greater results into your organization, make an outstanding career for yourself, and provide more abundantly for your family is by outthinking your peers and your competitors. Thinking – good thinking done with discipline and methodology – is the ultimate competitive skill. This chapter is not designed to be the final word on how sales people could think more effectively (that’s the next book!). However, there are some easily applied rules, processes and practices that will enable you to think better and dramatically impact your performance. Let’s start with a simple definition of good thinking for a sales person: Good thinking is asking yourself the right questions, in the right sequence, at the right times, and writing down the answers. Writing down, either on a computer or handwriting on a pad of paper, is one of the disciplines of good thinking. The very act of writing focuses you on the exact words which formulate your answers. While you can be vague and indistinct as long as the answer is just something you maintain in your mind, when you force yourself to write the answers down you must select the exact words that go on paper. Thus writing is a discipline that forces you to think precisely – one of the tenants of good thinking. Secondly, putting it in print is an act of commitment. Once you’ve written the answer, it is there for you to review forever. Not only does it serve as a commitment – after all, you wrote it – but also as a reminder that you have already gone down this path before and come up with an answer. When you confront the question that prompted that answer again, you’ll save time by referring to your previous work. So, if you are going to think well, you’ll write the answers to your questions down on paper. What then, are some of the “right questions” to ask yourself? I’ve organized them into two major categories: Personal Effectiveness Questions, and Personal Improvement Questions. There is a set of questions so powerful they have more to do with the eventual success of a sales person than any other single issue. The questions, or more appropriately, the answers to those questions are so important that the best sales people develop disciplines and methods to consistently answer those questions as effectively as possible. Almost every field sales person has the freedom to ask and answer those questions continuously in the course of the day. We ask and answer them moment by moment, hour by hour, day by day, week by week, and month by month. If you can consistently develop the most effective answers to these questions, you will put yourself in a position to be one of the outstanding sales people in your industry. If you default to answering these questions by habit, by being reactive, or by other mindless methods, you detract from your success. The effective answers to these questions put you in front of the right people, and keep you focused on the most effective things to do. And that is a prescription for success. Which of my accounts hold the greatest potential for sales growth this year? The answer to this question should lead you to three categories of customers/prospects; A, B and C. The “A” list, identified by their potential for growth, is the ultimate answer to this question. For greater detail on this issue, see Chapter Four of my book, Ten Secrets of Time Management for Salespeople. What do I want to accomplish this year, both personally as well as professionally? It can take you half a day to answer this question with depth and detail. The answers, of course, form your goals for the year. You ought to have personal goals, as well as professional or sales goals for the coming year. For example, do you want to lose 20 pounds? Improve your relationship with your teenagers? Become more spiritual? These kinds of answers comprise the raw material for your personal goals. What would you like to produce in terms of total sales? How many new customers? How much in key product line sales? These kinds of sub-questions are ways you think more precisely about that which you want to achieve professionally, and again, form the raw material for your sales goals. Finally, at your annual “thinking and planning” retreat, you ought to answer this question with respect to each of the goals your prior questions and answers produced: What is the best way to accomplish each of these? Notice the sequence. First we asked what we wanted to accomplish, and then we asked what was the best way to do so. Good thinking is asking the right questions, in the right sequence, at the right times. Your answer to that question, could be a paragraph or two, or maybe even one side of one page of paper, for each of the goals that you created by asking the earlier questions. When you have finished this annual exercise in thinking and planning, you will have a set of answers that will guide your decisions each day, each week, and each month. In the world of the professional B2B sales person, it is so easy to become immersed in the frenzied activity that often describes our days that we lose track of the commitments we made. We create the answers to the questions in our annual thinking and planning retreat, and then, two months later discover we are so overwhelmed by the press of every day stuff, we haven’t given our commitments any thought. It is for that reason we need to establish a discipline of reviewing and refining our thinking each and every month. A monthly planning session is an opportunity to stop, take a deep breath, and refocus on those things that we previously determined were the most important. Without that monthly discipline, we risk being knocked off course. A monthly planning session should be an investment of one to two hours, once a month, at about the same time each month. In it, you ask yourself these questions, and answer them in writing. Last month, did I do what I said I was going to do? What should I do differently this month? What are the most important things I want to accomplish this month? What specific progress do I want to make in my target accounts? What specific progress do I want in selling key products or lines? What specific deals do I want to close this month? 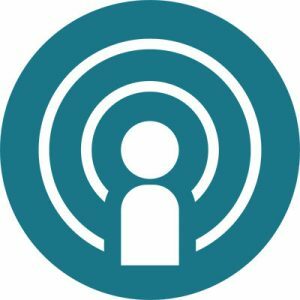 What specific progress do I want to make in acquiring new customers? How am I going to improve myself this month? It can take an hour or two to develop written answers to these questions. The resulting document is, however, your best thinking about the most effective things you can do this month. Use it to guide your day to day decisions; you’ll become far more effective, just because you regularly think with discipline and method. Where do I want to go each day this week? What do I want to accomplish by the end of the week? What do I need in order to do so? As a result of asking and answering these questions, you’ll find yourself assembling the literature, samples, price quotes, etc. that you need, with plenty of time to spare to make changes and additions. Each day, at the end of the day, you ask yourself: What do I need to do to follow through on the commitments I’ve made and the lessons I’ve learned today? What do I need to do to be thoroughly prepared for tomorrow? This focuses you on the sales calls you’ll make tomorrow, and directs your thinking to the specific preparation you’ll need for each sales call. During the course of the day, you’ll find it incredibly helpful to ask yourself, after every sales call: What went well? What could I have done better the next time? These questions prompt reflection on your performance, and continually keep you focused on improving your behavior and your competencies. And that’s a course of thought that will eventually lead you to become a master of the profession. Am I doing, right now, the most effective thing I could be doing? Develop the habit of asking yourself that question several times in the course of the day. Consider the answer. If the answer is “No”, then change what you are doing and focus on something more effective. If the answer is “Yes”, congratulations, you are on the right track. Here’s how I happened onto this question. I had the bad habit of stopping at a coffee shop and grabbing a cup of coffee immediately after a particularly bad call. If things went badly, I had to decompress at a coffee shop, sipping coffee, reading the paper, and generally feeling sorry for myself for a while. And, while I did this routinely, I did it mindlessly, not even being aware of my habit. Then, one day as I was sitting in a coffee shop feeling sorry for myself after a particularly frustrating call, I asked myself that question: “Am I doing, right now, the most effective thing I could be doing?” The answer, of course, was “No. I’m sitting here feeling sorry for myself when I should be out selling something.” I reflected for a moment, and discovered that I routinely did that! This wasn’t an isolated event; it was a pattern of behavior. Once I discovered that about myself, I set about changing it. That question can identify simple little things and help you stay on track in the ebb and flow of a typical day. But, it can also uncover major bad habits and behavior patterns that may regularly and negatively impact your performance. Developing the habit of asking yourself good questions, on a regular, disciplined basis, and writing down the answers will be one of the disciplines that will bring you a future full of success. Question Your Way to Sales Success is available wherever business books are sold. Learn more.